I have been to Boracay for four times now and one of the things that people look for would be the drinks. 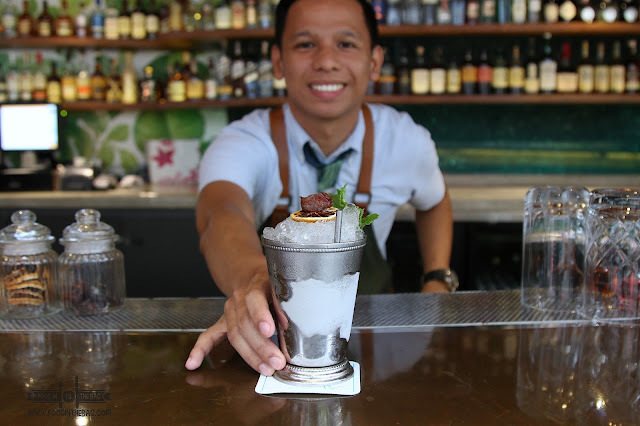 Since the island is part of the Philippines and is of a tropical nature, drinks on this majestic paradise needs to be refreshing and delicious. That's what PRISMA does for its guests. 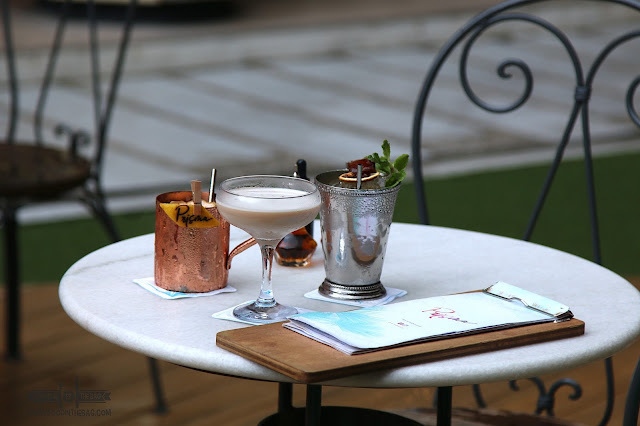 It elevates the drinking scene to another level that it uses only premium liquor to create artisan drinks. 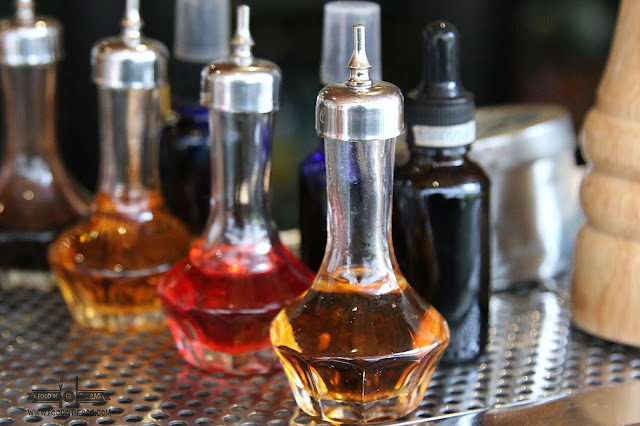 With specially made bitters and house created syrups, different mixtures of flavors find its balance with regards to the drinks their bartenders make. Be it sour, sweet, and even down right delicious, you can expect nothing less than spectacular from each concoction they make. Being the sister bar of ABV, you know that you will be in for a treat. The difference is that ABV has that speak easy background while PRISMA goes for the tropical and chill relax vibe that Boracay has to offer. If you do find yourself there, please come on over and talk to the staff. The bartenders are all friendly and could even recommend a drink for you. 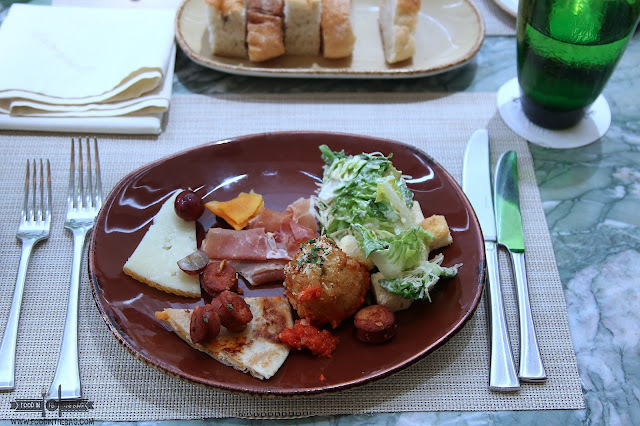 They tend to go off board and even change an ingredient or two based on your preference. On the left, is the general manager, Andrei Campian. His passion for drink creation is legendary. He has trained and created most of the drinks on the list. 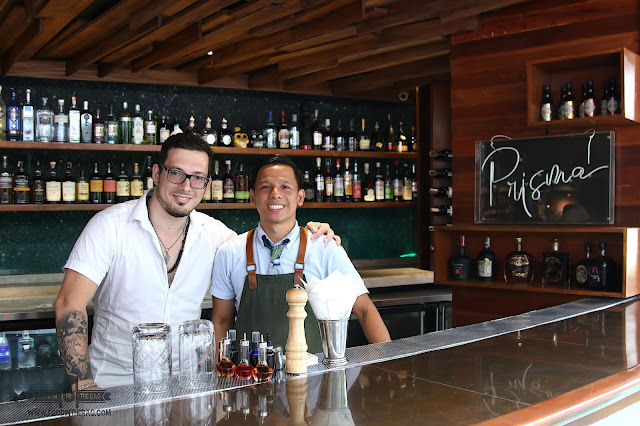 With the help of the likes of Max (guy on the right), one of the recent winners of the first ever Don Papa Cocktail Competition in the Philippines, you could be sure of the amazing creations they have in store for you. Upon sitting down, Max here shaked and stirred the JACK DATES. Made with Jack Daniels and a burnt lemon and dried dates on top, the cohesiveness of the parts really works. Personally, I'm not a fan of Jack on its own, but the dates went extremely well with everything. Mojito lovers would enjoy the Black mojito. 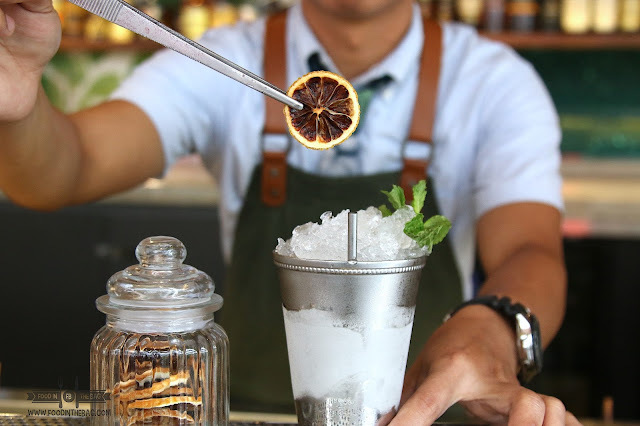 This is not your ordinary mojito as special care is given to create the right blend. Bacardi fanatics would enjoy the LA NINA. 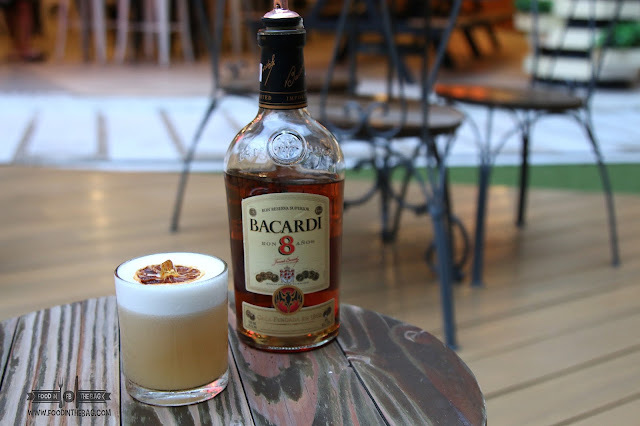 With egg whites on top, you get that amazing texture to go with the drink. 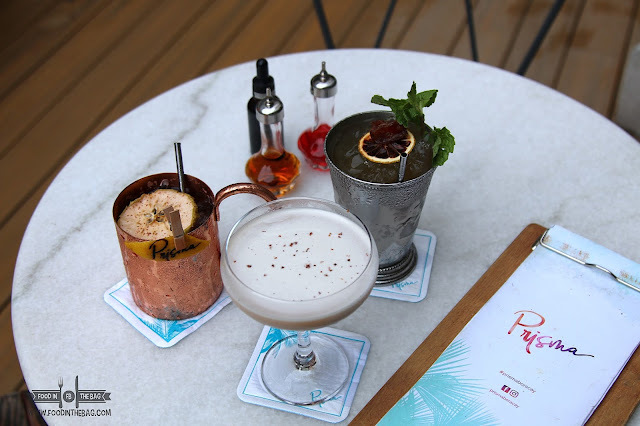 To go with these drinks, PRISMA BORACAY has this peanut mix to offer. One would think that it's super spicy but it isn't. Although it has hints of pepper, it actually works with each drink that they have on the menu. 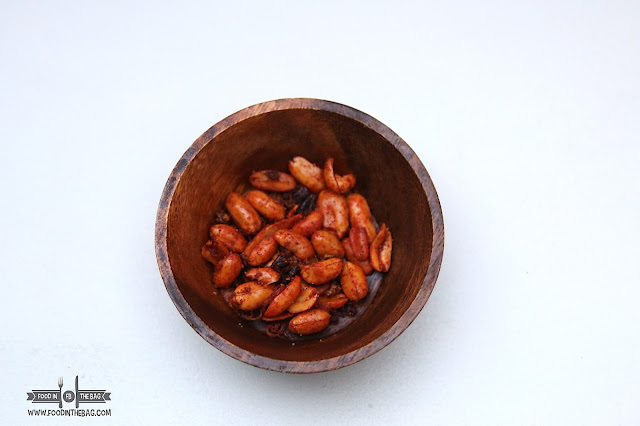 I can't wait for them to sell these nuts as they are addicting. 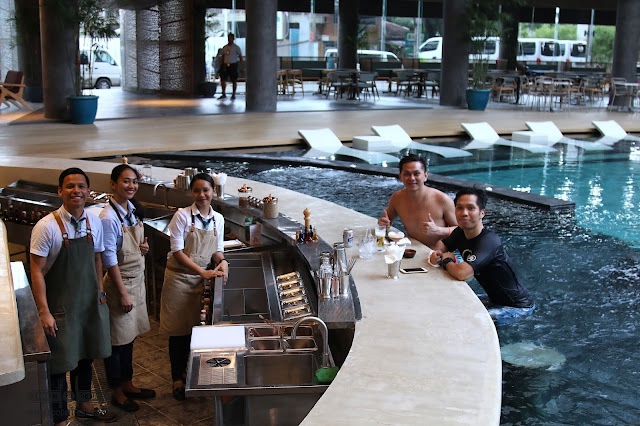 Guests that stay in the HUE HOTEL are quite lucky as they have an amazing pool to frolick in. The fact that it opens up to the bar is just an amazing feature that Prisma has. As I finished my drinks, I realized that everyone is well taken cared of. 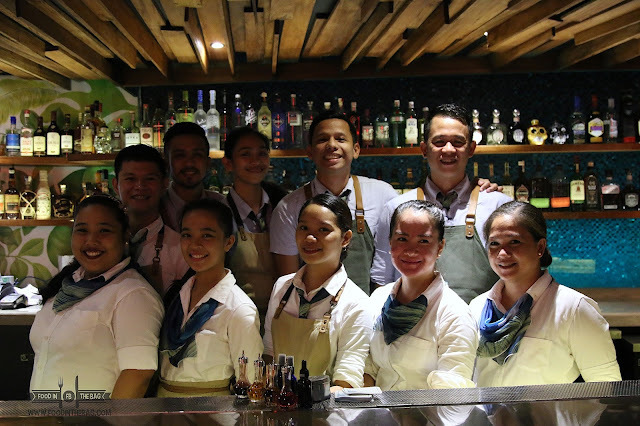 The staff are very passionate about giving you the best advice and drinks they have to offer. They also have amazing insights on what to drink and what to go for. There is initiative and coherence in everything that they do. Prisma is located in Boracay's first and only food hall, streetmarket. Part of the compound Station X, you could also find Hue Resorts and Hotel here. It's in Station 2, Main Road, Boracay. ABV: Steak and Fries and Drinks!